Thank you for considering a tax-deductible donation to help North Star Village create a vibrant, volunteer-first, nonprofit organization. We are grateful for your vision, interest and support! You can make your donation online through the Club Express payment system. This process requires a valid credit or debit card. After you have submitted your payment, you will be able to print an invoice for your records. You can write a check and make it payable to "Villages NW-Metro, fbo North Star Village." 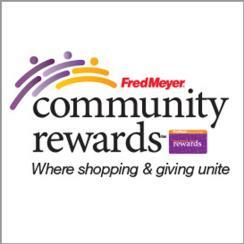 North Star Village is part of the Fred Meyer Community Rewards Program which awards $2.5 million annually to Northwest organizations. When you link your Rewards Card to North Star Village, Fred Meyer will give a portion of each purchase to our Village every time you shop at Fred Meyer — and you will still keep all of your rewards points, fuel points and rebates. Please note that you have to re-link your Rewards Card every year! If you are interested in (re-)enrolling, please download our detailed instructions (PDF).